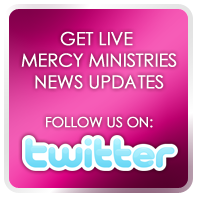 Mercy Ministries News: Power Packed Weekend for Nancy Alcorn!!! For Mercy Ministries Founder and President, Nancy Alcorn, this past weekend was filled with many exciting opportunities to speak and share the heart and vision of Mercy throughout the Chicago and St. Louis areas! On her first stop in Chicago, Nancy was a guest speaker at the “Reality” Women’s Conference, hosted by Linda Thompson and Family Harvest Church. You can see the amazing energy and passion of everyone involved by clicking here to see the follow up video from this event. Nancy then headed to St. Louis to speak at the Destiny Church Women’s Rally. Destiny Church is the home church of our St. Louis residents and all 30 girls from the home were able to attend, as well as the staff! The love that Pastors Jim and Jessica Stern have for our girls was so evident and Nancy was honored to be asked to speak at all of their weekend services on Saturday and Sunday. She especially loved spending time with the girls and seeing how they have grown spiritually since her last visit a month ago! Overall, the weekend was filled with amazing opportunities for Nancy to share how God is using Mercy Ministries to help transform the lives of young women all around the world. It was such a blessing to see the outpouring of support to help more young women be set free! Nancy and the St. Louis girls!